July 2018 was a meandering month for NMS exchanges. Volume started out pretty low thanks to some thoughts of Independence. I can't imagine why a revolution in government may seem relevant today still. 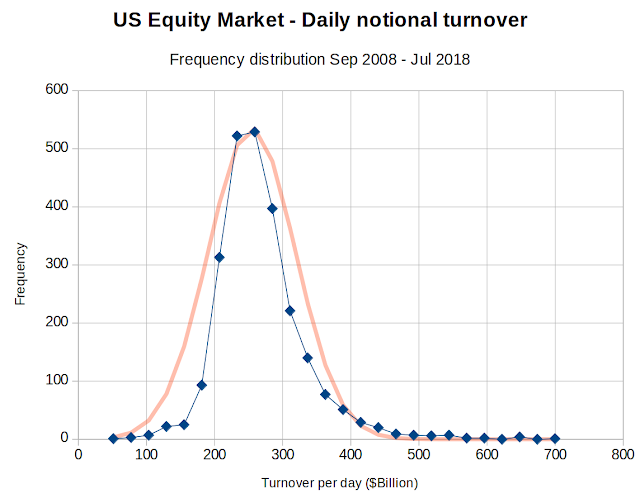 Average turnover for July from the exchanges was $304.66 billion per day. A bit lower than June's $350.10 billion but still higher than typical. Not quite the ten-year peak we saw on one day in February of $699.83 billion. The tension between trade wars, tech, and summer ho-hum is set to continue. 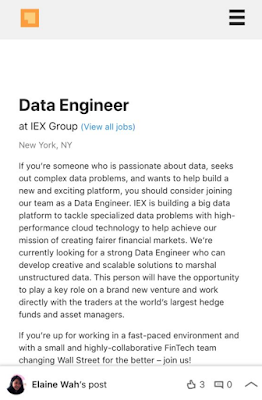 IEX continue their noisy irrelevance. 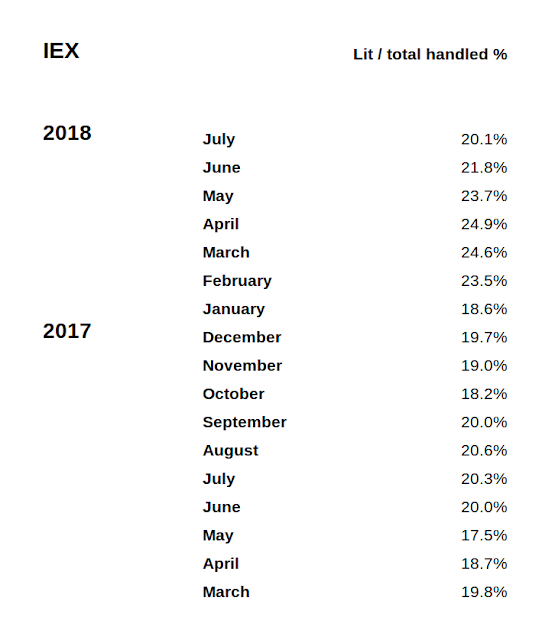 79.9% of handled volume at IEX was not lit. Dark and expensive and still not a restaurant. The usual charts are below. 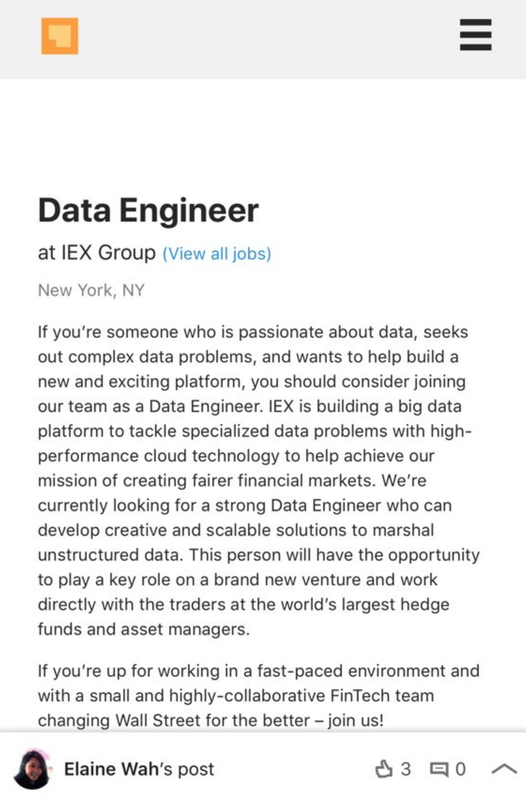 The Data Core scandal at IEX percolates along. I hear there are some peeps on the IEX Exchange's board that didn't know about it and also don't particularly think it is the wisest move, which is wise. IEX cloud a few issues in their relations between the group holding company and the exchange, as has been highlighted in the ongoing Nasdaq patent case. That also continues in the operational side of the business with exchange employees soliciting for the Data Core expansion as you may see in the advertisement to the right. IEX's credibility issues are further highlighted in a recent filing I avoided meandering about. This particular filing attracted a bit of attention after Mr John McCrank was duped a little by the IEX spin in the filing, "Proposed rule change to revise the threshold for imposition of the Crumbling Quote Remove Fee." 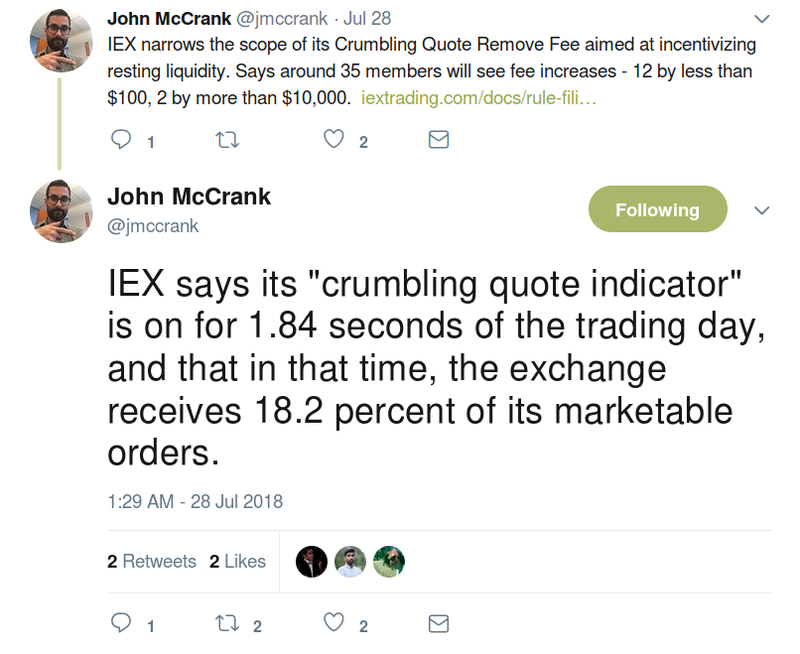 IEX claims they're narrowing their crummy Crumbling Quote, that usually means the opposite. Yet the applicability is both a broadening (removes minimum threshold) and a narrowing (specific ports). You could argue about the nett effect in a Liskov substitution principle kind of way but the real arbiter is that it raises more money, expected to be over $80k per month, thanks to removing the 1M share threshold. That would be a broadening then. The filing's dubious spin highlights some of the problems in IEX's approach. Firstly, the overall thing is meh, where they are adding a bit of a mud to their pig and it remains a pig. They are staying true to their dubious principle of preventing people managing risk as prices change by doubling down on the usually wrong and unauditable crumbling quote signal. The larger issue is how IEX bend themselves out of shape, stretch reality, and write such a long filing for such a simple change. I'd like to see the SEC simply turn back a filing one day due to it being too long. Mr McCrank's tweet is reasonable as the exchange's filing's notes they receive 18.2 per cent of its marketable orders in brief periods, you know, those periods where prices change. 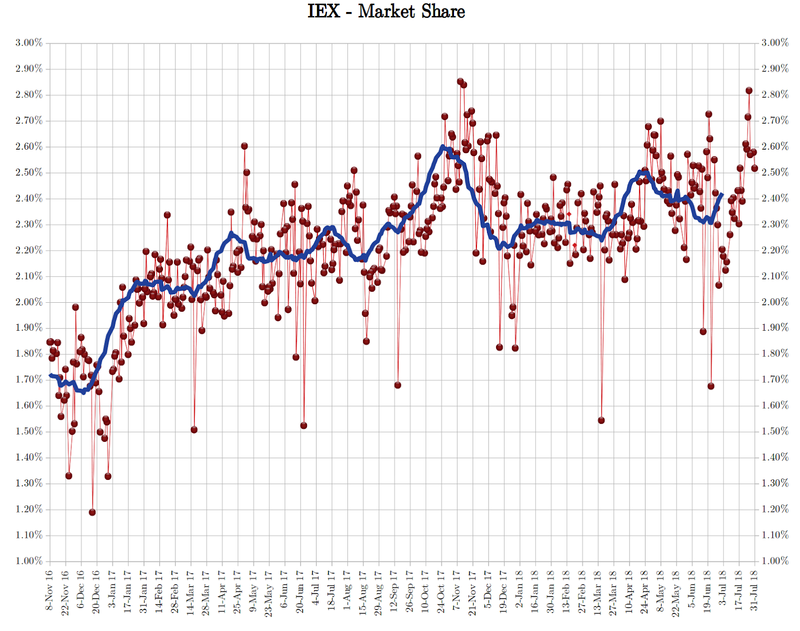 However, it's an unfortunate regurgitation of IEX's weak spin. 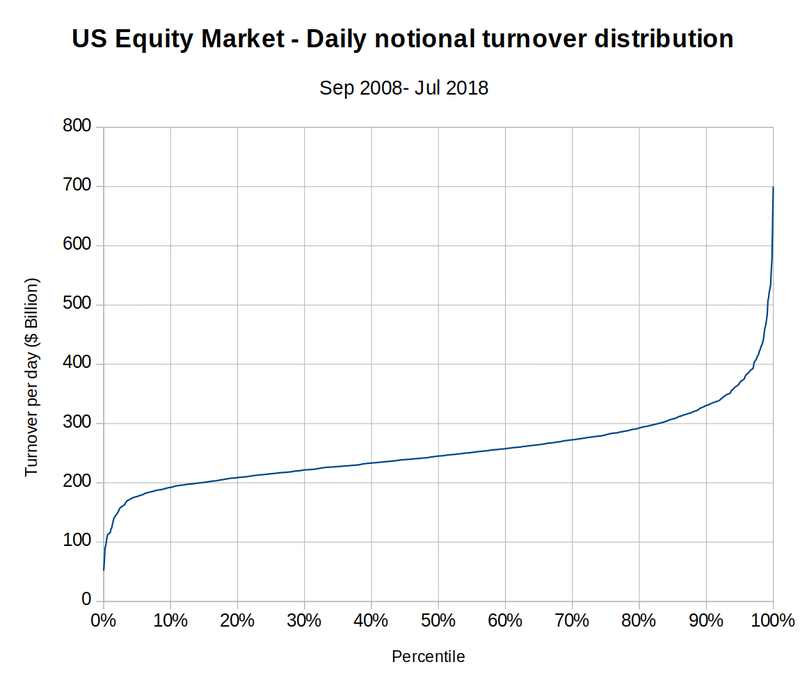 It's just the way markets work. 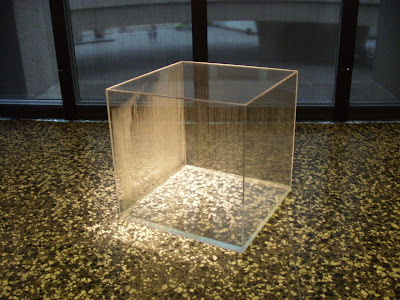 Activity is centred around those fleeting moments prices change. IEX seems surprised by this as they try to prevent their clients managing risk at those times. Perhaps IEX are in the wrong industry? Overall, this artifice deceives clients by artificially spiking some statistical measures whilst costing those clients money with poor execution at the same time. If best execution was really a thing it seems unlikely IEX would trade at all. 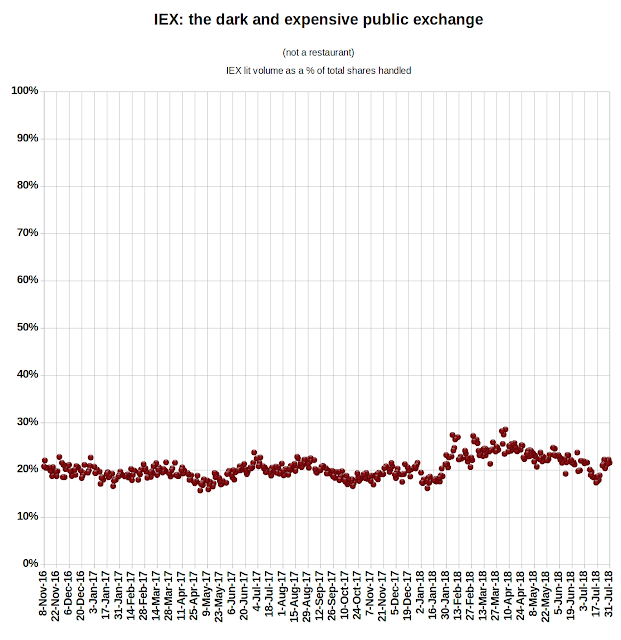 IEX also tripled their spread crossing fee from $0.0003 to $0.0009, "Proposed Rule Change to Increase the Spread-Crossing Eligible Remove Fee to $0.0009 per share for Executions at or Above $1.00 that Remove Non-Displayed Liquidity." Maybe that will lift volumes for them? But so far, IEX has failed to list any companies, despite approaching hundreds over the past several years, including household names such as Amazon.com Inc., Starbucks Corp. and air carrier United Continental Holdings Inc., people familiar with the listings effort said. 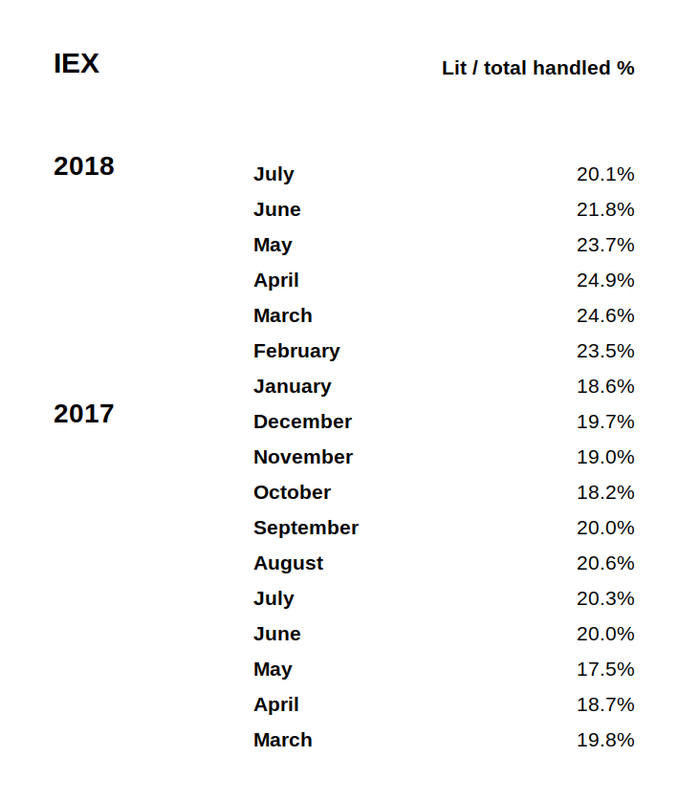 Four years ago, The Wall Street Journal reported that IEX told investors it hoped to list as many as 250 companies by 2017. 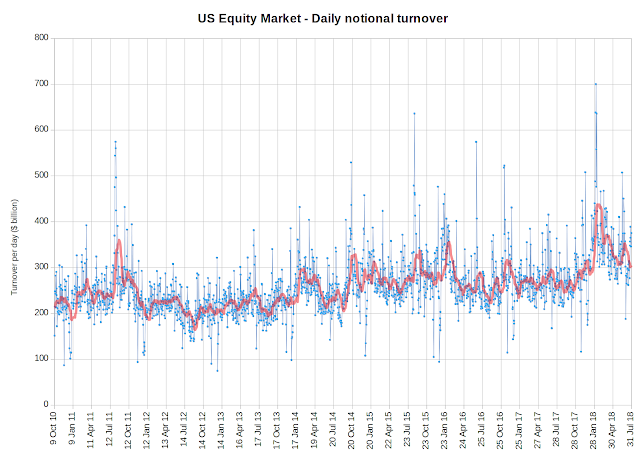 By last year, IEX was telling some people that it would initially have around a half-dozen. “As the ‘Flash Boys’ aura faded, listed companies increased their focus on the details of IEX as a listing venue and they came away unimpressed,” said former NYSE Group President Thomas Farley. I can't imagine a CFO deciding an IEX listing solves any problems with its rules, risk of rule change, vendor risk, Wynn #metoo aftermath, along with IEX's spin and mendacity problems. A job risk for a CFO. A very dubious proposition. 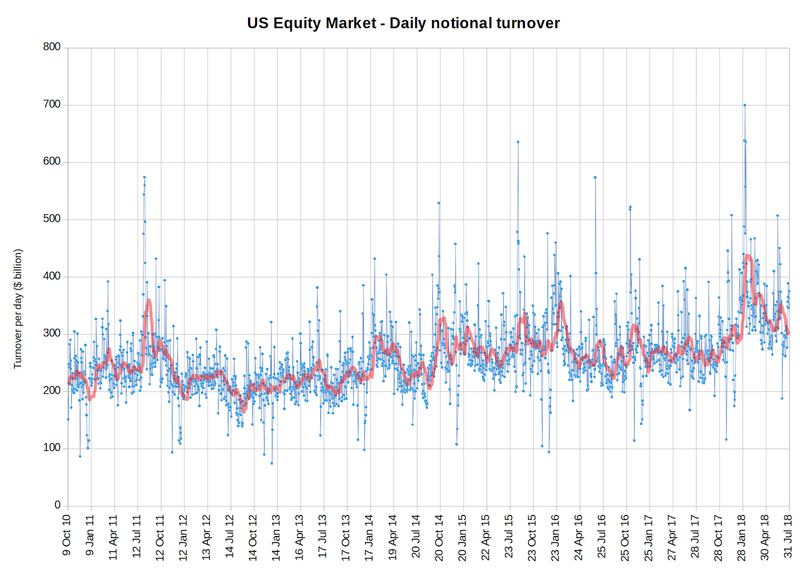 The crumbling quote fee change was probably spurred by the fact that some firms were getting around the fee by mixing their flow at a broker with more traditional Iex volume.